iPad Data Eraser: How to Wipe iPad Data for Selling? Eager to resell your old iPad and trade up for Apple's next generation iPad, such as the iPad Air? Once you kept your old iPad in relatively good shape, you can still fetch a good price. Before you sell or trade-in your old iPad, you'd better take a look at the following tips, which are able to keep your old iPad sells in a safe and secure way. Read more: How to Delete Google History on iPhone Xs Max/Xs/XR/X/8 Plus/7? * Backup your old iPad with iTunes or iCloud: You must save lots of valuable data on your old iPad that you want to keep them forever. So, before you put your iPad on eBay, you should first take a backup of your data on the computer. Each time you sync your iPad with iTunes, iTunes will make a backup with all the settings, apps, photos, iMessages, videos and more. * Wipe your private data on iPad: The most important thing you should keep in mind is that before you sell your device, make sure other people won't have access to any of your personal data. You will never know who will get your old iPad and what he will do with your personal data. The best solution is deleting all the data from the old iPad. * Notice the appearance and accessories: Clean the screen but not with Windex and you'd better find the original box, sync cable and charger. keep them with the old iPad together, which will help sweeten the deal. - Delete all data, such as contacts, text messages, emails, account info, passwords, videos, photos, etc., from iPad. 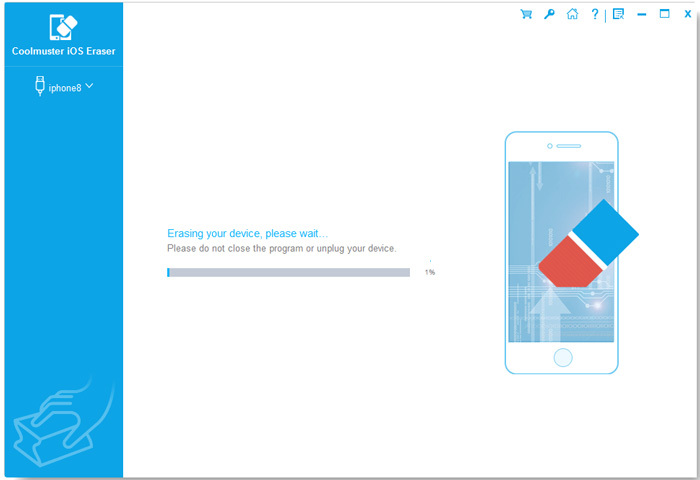 - After erasing data with this tool, you can not get them back with any recovery tool. - All iPad models are supported, including iPad Pro, iPad Air, iPad mini, iPad 4/3/2/1, the new iPad. - Read the following guide to see how simple to handle it. Read more: How to Delete Download Temp Files on iPad? The Windows and Mac version are both available. Get the right version downloaded on your computer. Here, we will set Windows version as an example. If you are a Mac owner, you can get the Mac version and refer to guide as well. 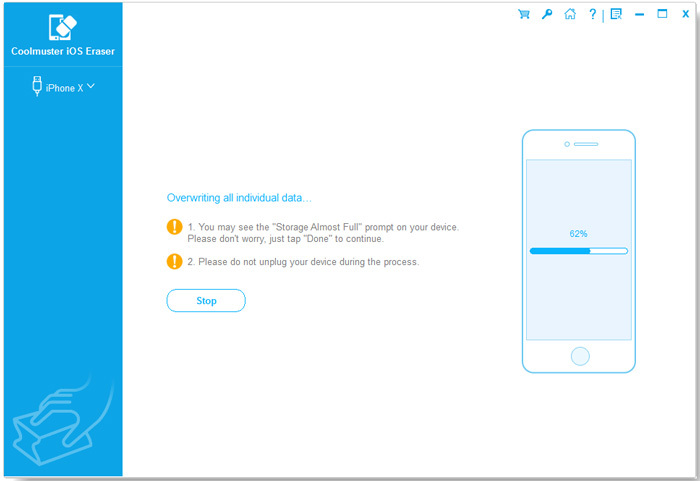 Tips: Please create a backup for your iPhone data before erasing for the program will erase all data and settings from your device without restoration. Also, please install the latest iTunes on your computer for successful connection. First of all, download and install the data erasing program for iPad on your computer. Launch it and you will see its clear and user-friendly interface showing like below. Connect your old iPad to your computer using the Apple provided USB cord and once the connection is successful, your iPad will be detected by the program automatically. Then please click "Erase" button to move on. The program offers three different levels of data erasing for your choice. 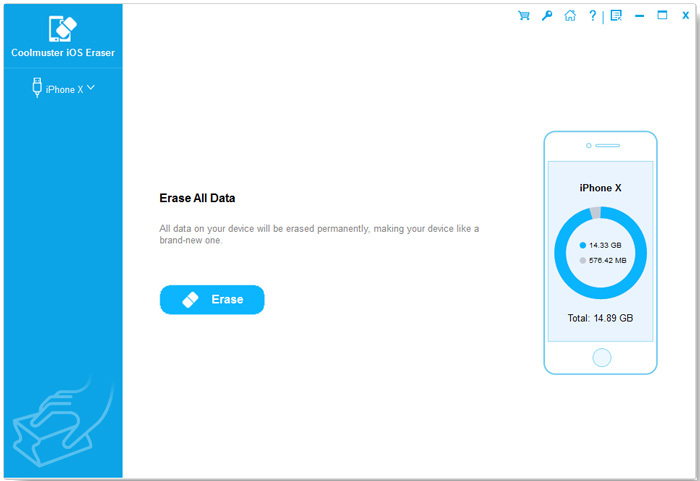 The first level will erase your iPad data quickly to save your time. The second level will leave no traceability of data erasure and use random data to overwrite all existing and deleted data on your iPad. The third level is the most secure but time-consuming option which will write over the data 3 times. You can directly use the default second level. 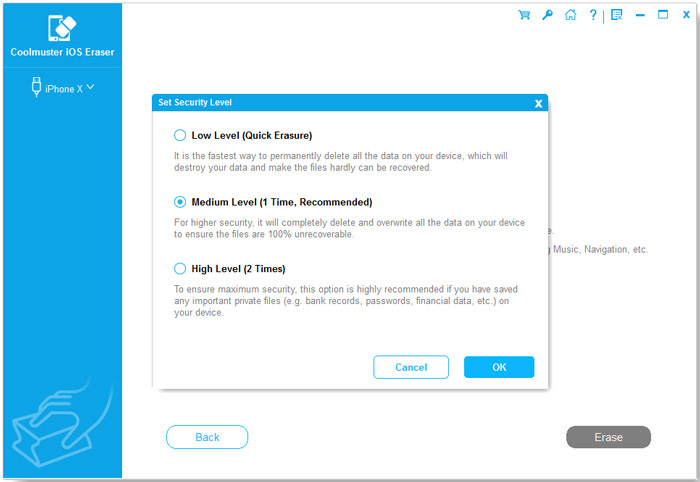 For higher security level, you might choose "Medium Level" or "High Level", then the program will continue to overwrite your iPad data. Please wait for a while. After erasing data with this program, you will get a totally "clean slate" iPad with no data on it at all. By taking the time to wipe data from your device before selling it, you will not only protect your private data from revealing, but also provide better experience for the next owner. Hope this article helps!